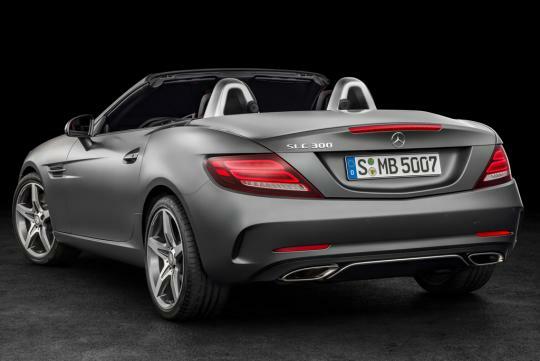 The new Mercedes-Benz SLC has an impressive heritage to live up to its predecessor, the SLK, which was launched in 1996, won fans around the world and achieved sales of around 670,000 units. Comprehensively refined and with a model line-up ranging from the high-torque and economical SLC 250 d to the sporty, high-performance Mercedes-AMG SLC43, the new model has what it takes to build on that success. The SLC250 d, SLC300 and SLC43 feature the sport/comfort-oriented 9G-TRONIC automatic transmission as standard, while it is available as an option for the new 115 kW (156 hp) SLC180 and for the SLC200. The new entry-level model is the SLC180 with an output of 115kW (156hp). It has a consumption figure of just 5.6 l/100 km and CO2 emissions of 127 g/km. Positioned above this are the SLC200 with an output of 135kW (184hp) and the SLC300 with 180 kW (245 hp), both of which feature a 1991cc 4-cylinder engine. The efficiency champion remains the 150 kW (204 hp) diesel model, the SLC250d, with a CO2 figure of 114 g/km. 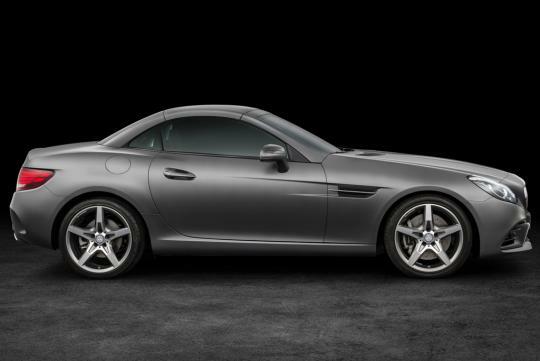 Driving Performance is the AMG brand promise -- and the Mercedes-AMG SLC43 lives up to it in impressive style. 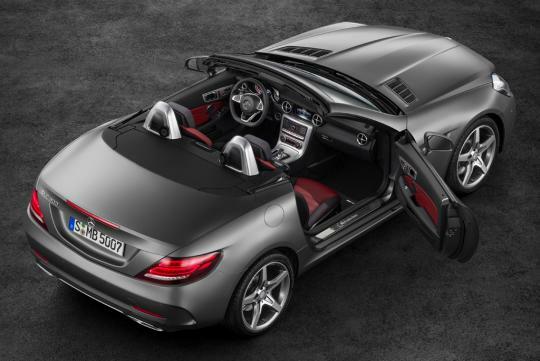 The new model combines a 270kW (367hp), 520Nm, 3.0-litre V6 biturbo engine with a modified version of the AMG sports suspension familiar from the Mercedes-AMG SLK55, and the combination is reflected in the sporty performance figures, with the SLC43 accelerating from 0 to 100 km/h in 4.7 seconds.